Parking Brake Stuck, What To Do Next? How Much Does Car Insurance Rates Go Up After an Accident? Have you ever gotten a little too excited using your parking brake? At some point, most of us pull up just a little too hard and get our parking brake lever jammed. In many vehicles, the parking brake can get stuck if left engaged for a long period of time, or if subjected to overzealous application. There are several situations that require a little extra braking power. Knowing when and how to use your brake will help you avoid sticky situations. When should you use your parking brake? 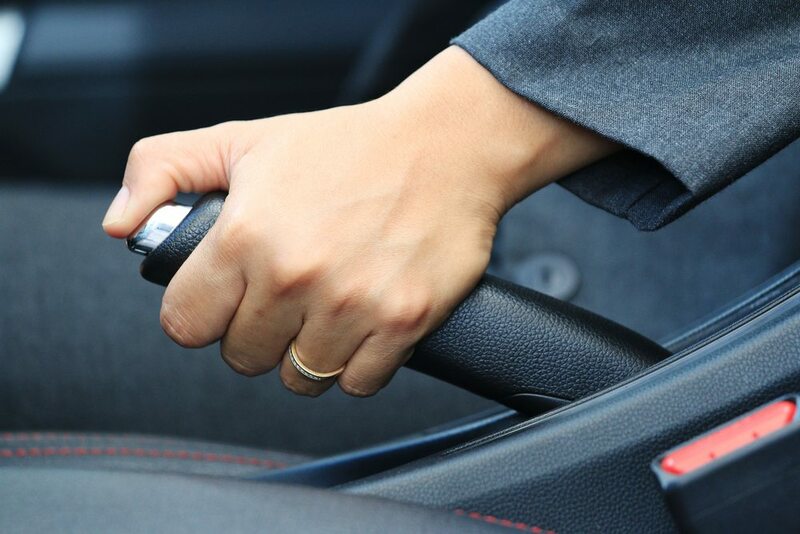 If you drive a manual transmission you might use your emergency brake every time you park your vehicle. You might even be using it when you are driving! Those of us with automatics might only use our e-brakes when we are parked on a hill. In reality, you should use your parking brake all the time! A parking brake is an added safeguard which can prevent your vehicle from moving even if the pawl breaks. You should use your parking brake as much as possible. It won’t hurt your vehicle and adds a little peace of mind that your vehicle won’t roll away. To release a stuck brake you can do several things. If it is safe to do so, you can try rocking the vehicle back and forth or manually getting under the vehicle to pull the cables. You can also try setting and releasing the brake multiple times in the hopes of knocking the brakes free. If all of these methods fail, a tow truck might be in your future. The best way to deal with a stuck parking brake is to avoid having one. Maintain the system with regular service and make sure you use your parking brake often. This will help prevent corrosion and let you know if something in the system needs attention. Also, remember to take it easy when you engage and disengage the lever. It a safety feature, not a contest! How Often Should You Replace Spark Plugs?